First visited on Thursday 19th of May 2011. 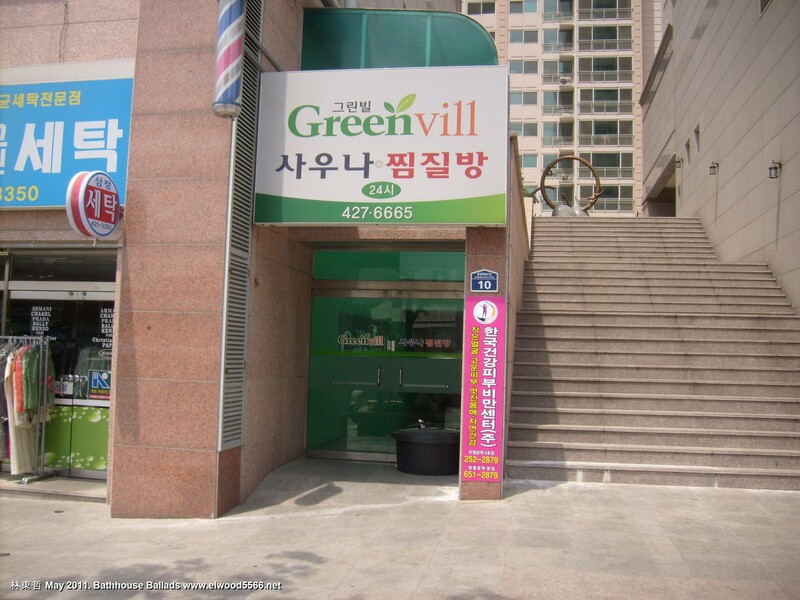 Greenvill is very easy to find given its location to the main road downtown and the nearby Banwoldang subway. 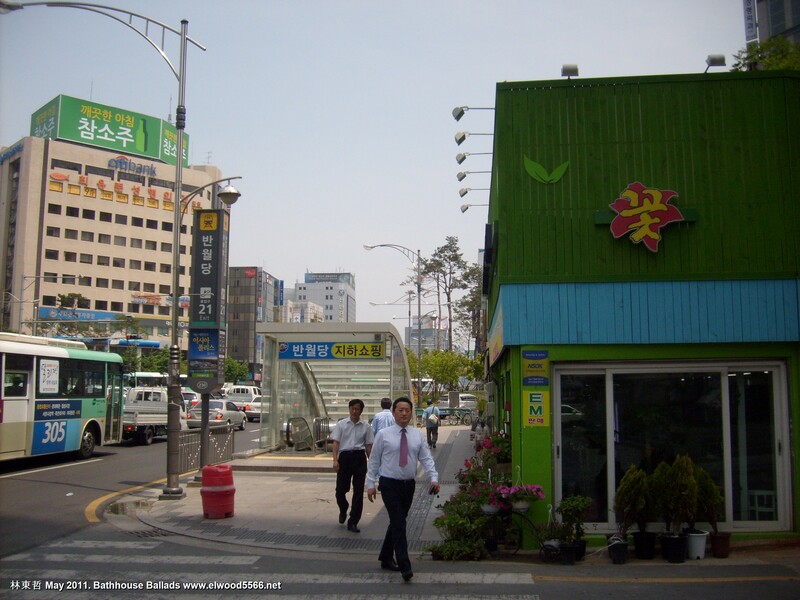 Though situated in the Samjung Greencore Apartments (삼정 그린코어) complex, it is only a five minute walk from the subway itself. At the bottom of this post you will find comprehensive instructions on locating the premises. The changing facilities are large and spacious and the staff friendly. I was visiting on a lunchtime and there were only a few customers but I would suspect it might be busier in the evenings. The bathhouse itself is not large but it bright and fresh with numerous murals on the walls and interesting features, for example, a large dolphin stands in the corner of one pool, as if rising out of the water. The bathhouse (male) itself is approximately an ‘L’ shape with the main pools in three corners. There are probably around twenty stand up showers, giving some guide to the more experienced bathhouse user, as to the size of the premises, and close to these the hot (열), warm (온) and event (이벤트) pools. I often joke about the event pools being uneventful but this one was more exciting and a large ‘poster’ on a nearby pillar forecast the weekly aroma schedule: I was there on a Wednesday so the aroma was ‘grape’ and beside looking like a gigantic glass of wine, there was a pleasant hint of grape juice. Other aromas, changed on a daily basis, include menthol, lemon, chrysanthemum, mugwort, ginseng and pine. In the far corner is a small massage pool (안마탕) with six massage stations. Beside this are stairs leading up to an open planned, infra-red lit, sleeping room. In another corner was a large and very cold, cold pool (냉탕) with attractive blue tiling and a large mural backdrop. There are two saunas: a steam sauna and a spacious pine sauna with various levels of decking and room to sleep. In all, a very new, clean and relaxing bathhouse though perhaps not providing the most extensive facilities, it is certainly well worth a visit especially if you are in the vicinity or need a place to stop overnight. Location – The Wikimapia site already had a marker for Greenvill but it was not in the right place. Locating it exactly is difficult as it is within the apartment complex so I took the liberty to update the map. However, the complex is easy to find and I have given some extra pointers. 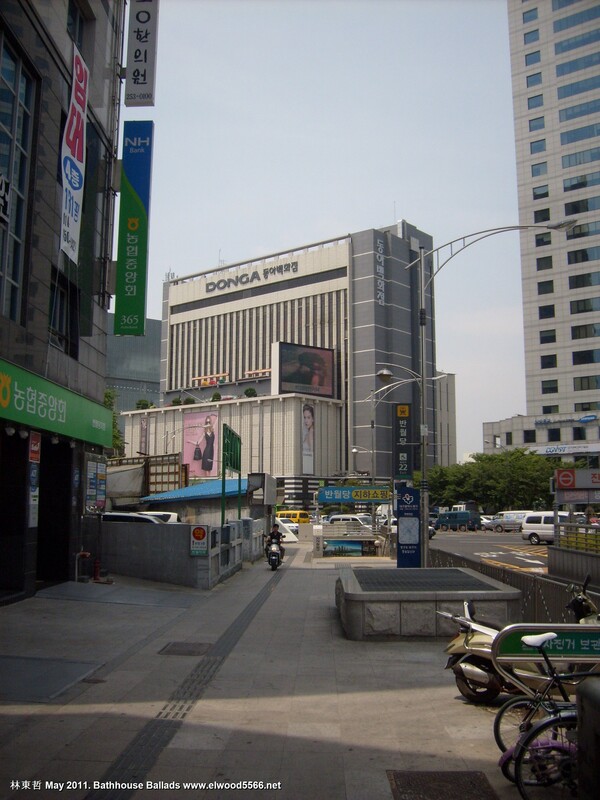 I used a taxi to Banwoldang and my directions are from the subway on the side of the road where traffic is heading downtown and the massive Donga building is directly in front of you. Behind you you should see a flower shop with a small road leading up to an apartment complex. At the foot of the apartments on the hill you should see the Buddhist symbol as there is a temple here. Go up to the temple and turn right in front of it. 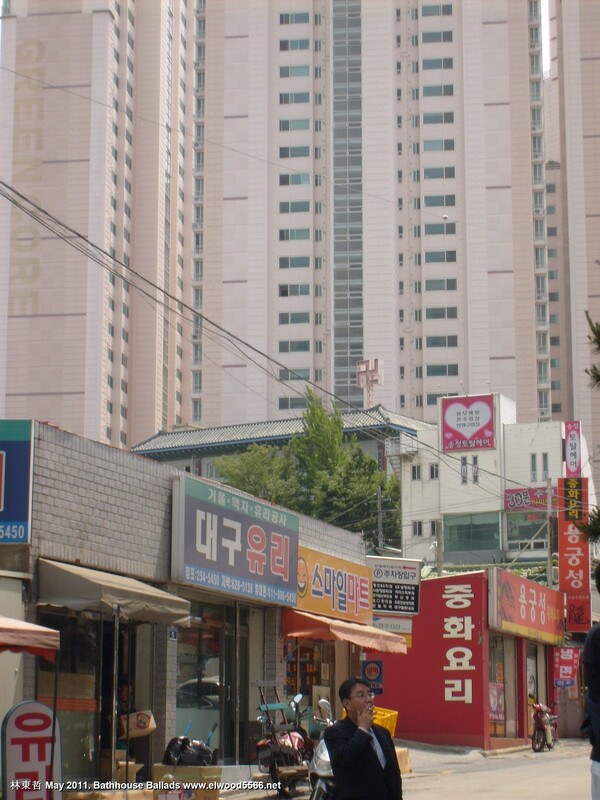 You will then see the turning on your right taking you into the Samjung Greencore Apartments (삼정 그린코어) complex. A small square sits in the middle at the opposite side of which you will see a flight of stairs. Go down these. You are now going past the sauna, it is actually on your right and when you reach the foot of the stairs you will find the entrance. Facilities – barber, shoe shine, large changing room with TV. 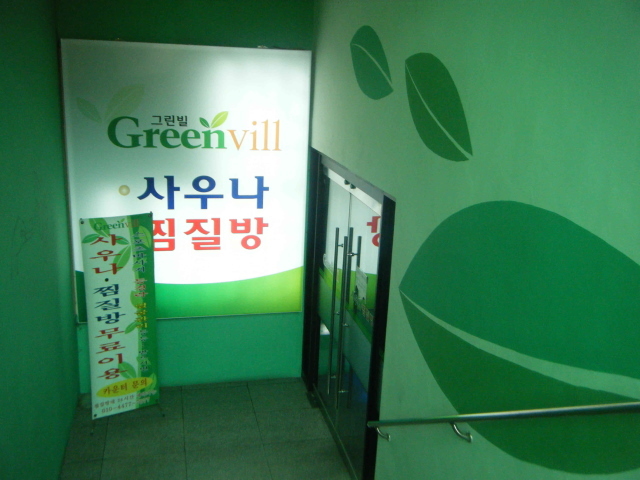 Jjimjilbang – includes an ice room, DVD room and various other facilities. Bathhouse (men) – around twenty stand up and perhaps 30 sit down ones. Others – Basement car parking. Right next to Banwoldang subway line and on the main bus route (405). An interesting area with many shops and department stores. Ambiance – bright, airy with a subdued infra-red sleeping area. 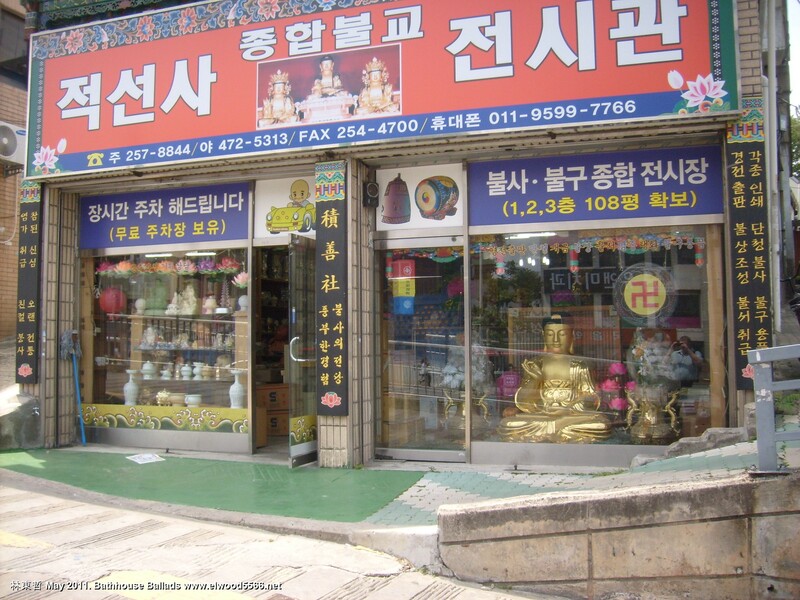 Address – 대구 중구 남산2동 665번지, Daegu, Jung-gu, Namsan-2-dong 665. Tel:053-427-6665.